Cockroaches have existed for 250 million years. Females carry 35 – 40 eggs in an ootheca (egg case) until they are ready to hatch. Nymphs take between 6 weeks to 6 months to develop into adults. Frequents heated buildings, often kitchens and ships. Prefers high temperatures and humidities. 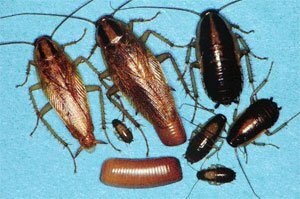 If you suspect you have a German Cockroach problem, call us for more advice on 01992 763776.